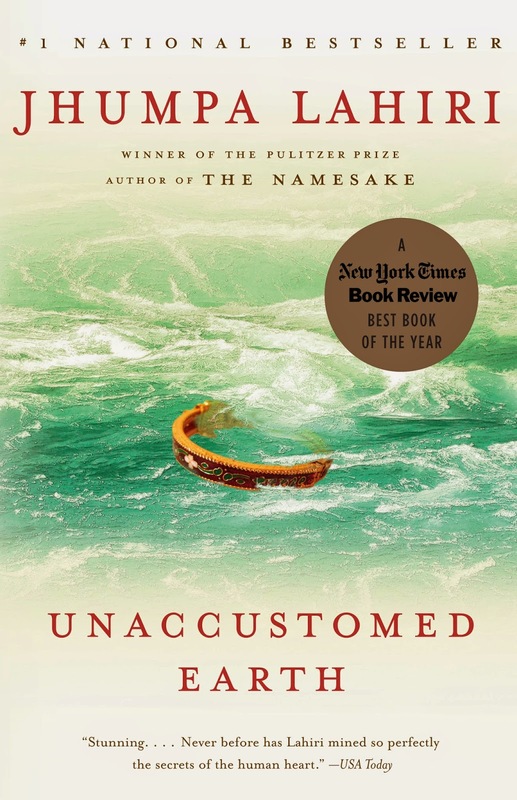 Unaccustomed Earth is a selection of short stories by Jhumpa Lahiri. It's the first thing that I've ever read by her, but if this is anything to go by, I'm going to love her other books! All of the stories focus on Indian American characters, but although the stories share some themes about what it is like to be a first, second or even third generation Indian American, they are all different enough that this is in no way an issue (although I have seen some people bring it up as one). The first half of the book is made up of unconnected short stories, but the second half follows two characters, Hema and Kaushik at different stages in their intersecting lives. There weren't any stories that I disliked or found boring in any way, which is pretty rare for a collection of short stories! Although my experience of being British and living in Japan is obviously quite different to the experience of Indian families living in America, there were a lot of things about the immigrant experience that Lahiri touches on that I have experienced to some extent, which I enjoyed. There were also a lot of culturally specific issues that I have no experience of, but which I found really fascinating to read about - The role of women in the home, traditional family roles versus modern ones, having relationships with people outside of your own culture, and so on... but the book isn't solely concerned with these issues. It also tackles much more universal problems such as how to cope with the alcholism of a family member, how things appear on the outside may not completely different to how they actually are, what happens to solid relationships when you add children into the mix, unrequited feelings and many other things. Lahiri writes in one of my favourite styles - her writing is easy to read and not at all pretentious, but still extremely moving and beautiful. I don't normally comment that much on writing style (because it feels too much like I'm still in English lit. at school), but I really found myself appreciating it as I was reading. The stories in this book are at both fascinating and quietly devastating, and they made me want to read a lot more of Jhumpa Lahiri's work. Highly recommended!